The View from Israel. : The Ghost of Soviet KGB Disinformation Within American Politics. Facts from Israel. News, strategic reports, assessments, opinion, facts, information. All you need to understand and report on Israel in a wider world. The Ghost of Soviet KGB Disinformation Within American Politics. After losing the 2016 Presidential Election, the inner circle of the United States government known as ‘Deep State’ has been pursuing a disinformation campaign at the highest level in order to take down, at any cost, the current duly elected President of the United States. The premise is built around the allegation that Trump, and those surrounding him, colluded with Russia to win the election. At an estimated cost of $25 million, the Special Prosecutor has mulled over millions of pages of documents, investigated hundreds of key people and is about to wind up its investigation. There is much speculation that Robert Mueller’s team will come up empty handed on Russian collusion, unless they look at the Democratic side of the political divide in America. But undoubtedly the Russians, or more precisely the former Soviet Union, have impacted the American psyche and are winning the disinformation campaign they launched over fifty years ago against both the United States and Israel. Unfortunately, this disinformation campaign is being conducted by Americans against Americans. In doing so, they are doing the Soviet's bidding. When you hear the new radicals of the Democratic Party bang on against their own country and its leaders, when they adopt the propaganda of radical regimes, when we hear allegations against Israel couched in anti-Semitic terms, you can be sure that they are ideologically colluding with the ghost of the old Soviet KGB. 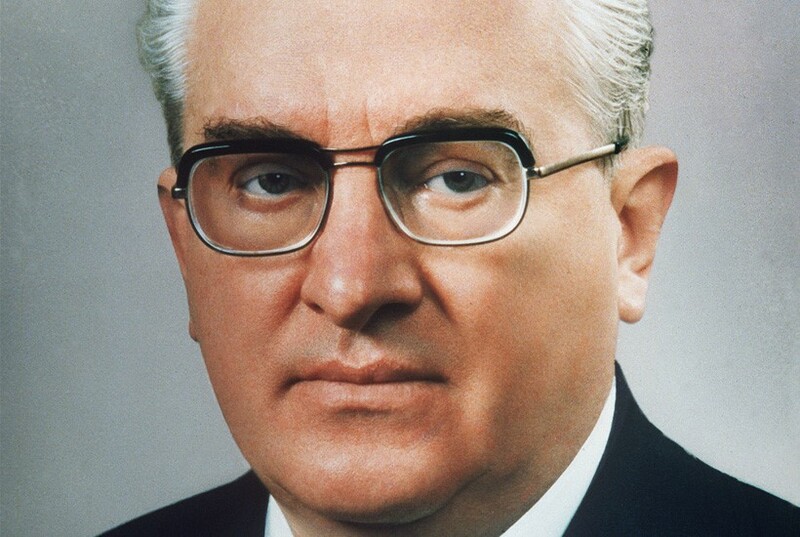 To quote former KGB chairman, Yuri Andropov, in a conversation he had with General Ion Mihai Pacepa, the highest ranking defector from the former Soviet Union to the United States in 1978.
Who can say that what we are hearing from Ilhan Omar and others do not accurately reflect the KGB playbook from way back in the 1960’s? This is the emerging dialogue being heard in the US Congress. This is the indoctrination coming out of American campuses. It is the language we are beginning to hear from the new graduates of the campus industry of Soviet-style indoctrination, graduates that are emerging as the new generation influence and opinion makers. 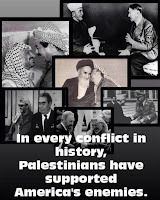 It began in the early 1960’s after the Arab armies failed to destroy Israel. The Communist Soviet Union entrusted the KGB to embark on a global campaign to destabilize the United States and Israel through propaganda and terrorism. The KGB was heavily involved in support of wars of national liberation in the Third World in order to disrupt the influence of the United States. The KGB relied heavily of their intelligence service not only to spy on their adversaries, but also to train their selected candidates in the arts of destabilization through disinformation and the skills of terrorism. Many leading Cuban, African, and Palestinian revolutionaries were brought to the Patrice Lumumba University in Moscow. This ivy league campus was the finishing school for top terrorists, including Arabs who would promote the Palestinian agenda to chip away at the legitimacy of Israel and eventually replace it. Yasser Arafat was there. He came as an Egyptian from Cairo and left as a Palestinian revolutionary. Mahmoud Abbas was trained in Moscow and left as a KGB spy, known as ‘Krotov” in Damascus. The notorious Ali Hassan Salameh graduated from the KGB school at Patrice Lumumba University as head of the Black September Palestinian terror group to supervise the Olympic Games massacre of the Israeli athletes. Overly ambitious, Salameh, with the strategic help of the KGB, almost succeeded in bringing down the plane carrying Israeli Prime Minister, Golda Meir, over Rome Airport. He was eventually tracked down and killed by the Israeli Mossad in Beirut. 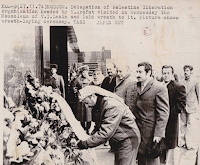 An integral part of the Soviet disinformation campaign in support of the Palestinian cause was to use language against Israel that we are familiar with today. As part of the Cold War between the United States and Russia, the Soviet Union brought a 1965 United Nations resolution condemning Zionism as “colonialist and racist” to deflect from the international attention it was getting over the plight of Soviet Jews who wished to leave for Israel. At that time, the Soviet Union was under pressure from the United States in the UN Security Council over their support for Syrian border clashes with Israel. The Soviet resolution failed, but the KGB persisted and, with the help of the Arab and Islamic bloc then under the Soviet influence, the United Nations General Assembly proposed a second anti-Israel resolution condemning Zionism as a form of racism and racial discrimination. UN Resolution 3379 was passed in November 1975. It took until December 1991 for this fraudulent resolution to be revoked. The Palestinians were well trained by the Soviet KGB. 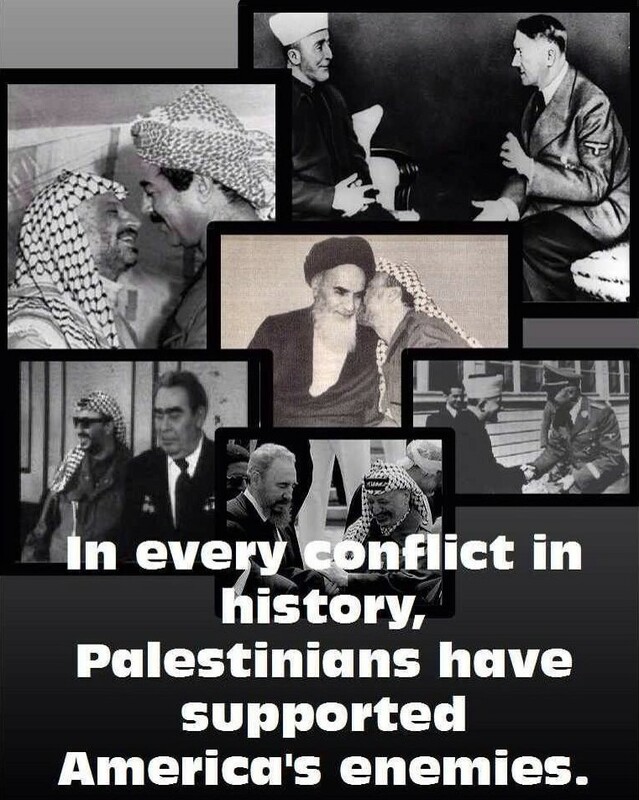 In every conflict, the Palestinians have sided with America's enemies. In the early 70’s, the KGB launched Operation SIG, an international smearing campaign to fan the flames of Arab resentment against the United States and Jews represented by Israel. It was launched in the Arab world to falsely portray America as an imperialist Jewish fiefdom financed by Jewish money and run by Jewish politicians with the aim of America and the Zionists subordinating the Islamic world. The KGB sent four thousand agents into Middle East to spread their anti-American and anti-Israel propaganda campaign. Surely the echoes of this threat are alive and growing on the campuses of America, on the streets of America in pro-Palestinian (read ‘anti-Israel’) rallies, and, more worryingly, in the halls of Congress where CAIR, the NGO with strong ties to the Muslim Brotherhood and Hamas, have been emboldened by the introduction of their candidates to positions of power as high as the US Foreign Affairs Committee. The old Soviet KGB campaign is alive and revived in the current US Congress. Nothing effective has been done to counter this surge of anti-American, anti-Israel, anti-Semitic ideology which is wrapped up and protected under the brand of intersectionality politics making it impenetrable to any form of criticism by intimidation campaigns that carry the same Soviet-style accusations of racism and oppression of minorities. One thing is certain. The enemies of traditional American values and Israel feel they have the tailwind to progress their agenda and to fundamentally change political thinking and policy within the United States government. And it will be done by following the old Soviet-KGB propaganda playbook. CODE PINK MAKES ME SEE RED! Rashida Tlaib and the company she keeps.